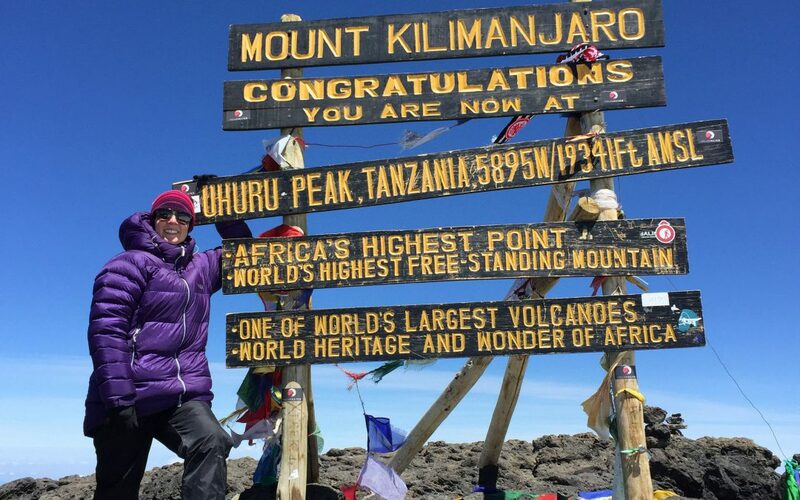 On September 18, Ruth Wynne achieved her goal of 12 years and summited Mt. Kilimanjaro, the tallest peak in Africa standing 5,895 meters tall. Her campaign raised $5,115, exceeding her initial goal of $3,000, and will help bring 34 students in Ethiopia back to school. We, at Luminos, are incredibly proud of Ruth and her impressive feat, and grateful that she chose to dedicate her hike to support students receiving a second chance education through our programs. 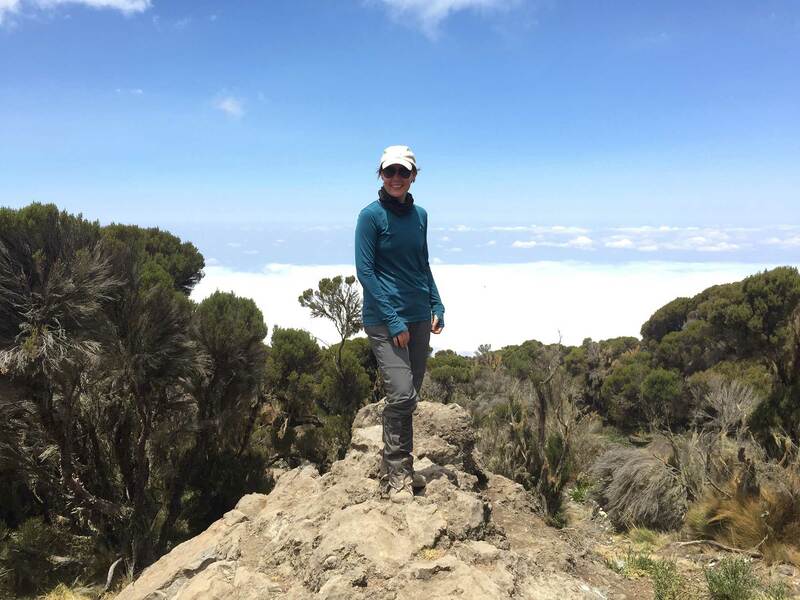 We had the chance to chat with Ruth about her experience climbing Kilimanjaro, and why she believes education is the key to unlocking prosperity around the world. Luminos: Can you walk me through your final ascent? Ruth: We were woken at 2am, breakfast at 2:30, and we left camp at 3am in pitch dark apart from the most amazing sky in terms of the number of stars and the visibility. You’re up so high. You’re above cloud level. It’s amazing, and every night was like that. So, we had two and a half hours of uphill, I guess, almost moonlit terrain. I hadn’t done night hiking in the past, and I found that quite tough. All you see is the tiny distance in front of you that your head torch lights up. And my body obviously decided I should be sleeping, and I actually nodded off a couple times as I walked, though I quickly jerked awake. I scared myself a little because obviously I was walking and there were rocks and I didn’t want to twist my ankle and have that impede me from the summit. But luckily, I didn’t trip. It’s quite strange how your body reacts: as soon as I could see light on the horizon, it’s like somebody flipped a switch and suddenly I didn’t feel sleepy again until 4pm that evening. We had to cross a glacier, on the real peak itself. At that point, you’re tired, so the glacier was hard. You’re slipping a little bit. It’s packed ice up to your knees and then there’s little pathways through. You don’t want to slip with the ice being so packed and hard. And then we reached the peak itself, Uhuru peak. It was amazing because we had it to ourselves. We were worried about whether we would have to stand in line for a photo at the summit, but then it was just us. You feel like you’re on top of the world, and you’re getting to have this moment with just a few people which is quite phenomenal. Ruth: It was a relief when we summitted. Although it’s not people’s fault if they don’t summit due to altitude, it would have been quite disappointing. I got very lucky and the altitude didn’t seem to bother me. When I have been up high before, it has been tougher, so I felt not just relief but gratitude that I had made it. I felt gratitude also for the opportunity to do the climb: that I had the funds, that I could take the time off work, that I have a colleague and friend who was willing to go with me because it wouldn’t have been the same experience hiking solo. 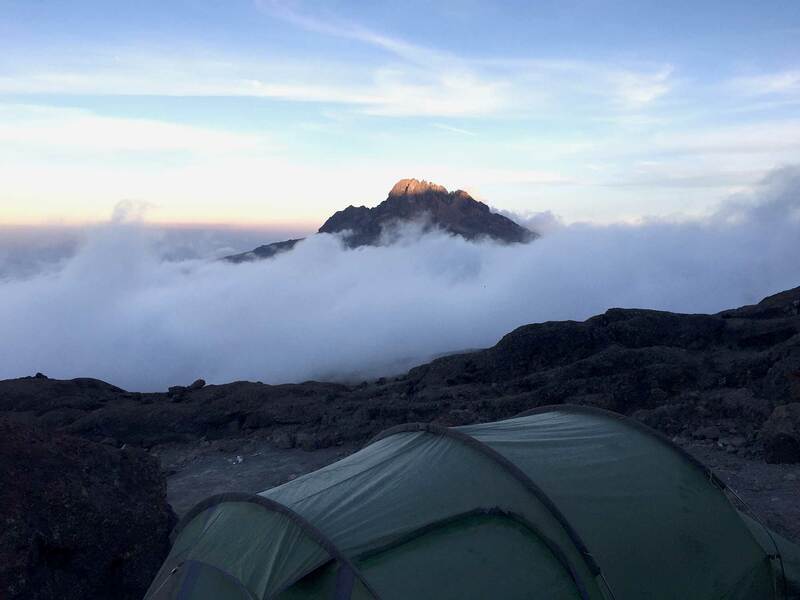 Luminos: Do you have any advice for anyone planning on climbing Kilimanjaro? Ruth: If you haven’t night hiked before, try and do it a couple of times because that was what I found to be mentally tough. The other thing I would say was yes, [cardio] fitness helped, but strong legs would have helped more. You can stop and get your breath back, but you can’t build up your legs when you’re already there. So, squats, dead lifts, lunges, all that fun stuff. I would have loved to be more fit than I was, but I was stronger than I thought I would be. I thought back to one of the instructors from my gym class who said, “don’t get too caught up in the cardio side of things and forget about the strength side.” It really did prove true. Luminos: Why did you select Luminos as a charity to support? Ruth: I chose Luminos because education, I think, is one of key components to achieving prosperity and exiting poverty. It’s such a good base and starting point and allows people to move forward and open more doors regardless of the country or how developed it is, but I think that’s especially true in under-developed countries. The difference between literacy and non-literacy, and how that affects your earning power, etc. And with a better education potentially comes a better salary or means to provide which has that ripple effect through generations. I think it really is something that is very hard to measure where that actually ends. Also, my mom’s a teacher, my sister’s a teacher, my aunt’s a teacher, friends are teachers, they’re a constant in my life! So, I suppose I did grow up in a household with a respect for education which has filtered through a little bit as well. Luminos: You significantly surpassed your fundraising goal. What does it mean to you to receive this support from your friends and family? Ruth: Firstly, a massive thank you to all who did support me, it was really humbling. As I said, I come from a teacher family and also know a lot of teachers. I didn’t know what to expect in terms of support, but this definitely far outweighs any expectation. And I’m just really grateful and touched that people took the time to click on the link to actually go and do it. Different friends shared the fundraiser because it touched a chord with them. It wasn’t just supporting me; Luminos touched a chord in them. It’s interesting to see people think about the education space. I believe it’s a key to helping people move past the poverty line, so maybe it made people think a little bit or have a brief discussion with a few friends and who knows where those discussions could go. Luminos: Anything else you would like to share about your experience? Ruth: If anyone is thinking about Kilimanjaro, it’s doable. It’s so doable. It’s not technical climbing, you can do it in less than the 8 days if you’re worried about leave from work. It’s one big hike as opposed to mountaineering, so if anyone does want to put it on the bucket list but is slightly afraid, don’t be. Go do it! It’s a fantastic experience!